In order to get to the top of the Forza in-game leaderboards most of us have to resort to the Lotus Elise to get anywhere near the top of the list. 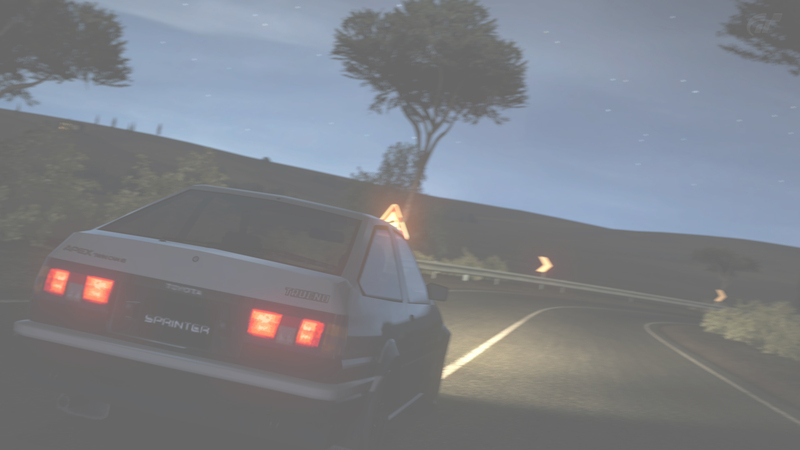 This leaves all of our hard work shaving off milliseconds off of our times in our real touge cars unoticed. Post your best time on the mountain pass (not in a Lotus Elise). You must be able to show proof via a saved video on your storefront or a time posted on the Forza leaderboards. Currently #27 on the Forza LB. Currently #20 on the Forza LB. I do have a quicker time for the uphill but I'd have to upload the video somewhere because I had to dirty the lap on purpose so that it wouldn't overwrite my NSX time. Wait... does there have to be proof? Is the time you stated, the one I recorded and put on my youtube channel? It either has to be on the in-game Forza leaderboard or you have the replay on your storefront for proof. The list has been updated till this point. If you haven't posted your times yet do so now! My Miata is the 2001 Miata Gen 2 not the 1994 Gen 1. If you don't mind adding my leaderboard time i'd be thankful. I know I can't play anymore but i'd like to at least have a record of it. I kind of forgot what my lb time was cause near the end I was hotlapping 4:36's, but they were dirty so I just saved the replays. I have no way of uploading those, so just take whatever's up on the lb. The replay of this run can be found on the leaderboards. Updated a few that I know are on the leaderboard, the others Smooth will need to do!